In an apparent effort to fight bribery with even more overt state-sanctioned bribery, the battle for the hearts and minds of Ukraine has devolved into two suitors -- the West and Russia -- flashing their respective bank account statements. How obscene. I don't recall U.S. President Ronald Reagan and Soviet leader Mikhail Gorbachev giving dueling speeches in the Cold War 1980s that made it sound like Poland was up on the auction block in a bidding war at Christie's. Winning hearts and minds may require more than cash incentives. Just ask the guy with a Ferrari whose girlfriend abandoned him for a guy with a Lamborghini and an extra digit on his pay stub. Ferrari man's only hope for a lasting relationship is for a girl to become dependent on him, to the detriment of her own freedom and autonomy. Bribing taxpayers with their own money gets politicians elected in the West, only for them to take increased control through greater regulation and taxation once they get into office, thereby enabling even more freebies come re-election time. It usually works until an even more creative con artist weasels his way onto the ballot. Now it's as if some of the biggest proponents of government handouts -- the Obama administration and the European Union -- are trying to export to Ukraine the worst aspect of our political culture: increased dependence on government. Some would argue that Ukraine is in no position to turn down any handouts. Wrong. Ukraine is perfectly positioned to insist that aid come in the form of independence and opportunity offered by diversified private-sector joint ventures, because that's what lasts. The West has somehow switched lanes with Russia, coughing up billions of dollars in loans for Ukraine to counter Russia's traditional trade influence, while Russia has built a relationship with Ukraine based on trade (albeit while threatening to call in Ukraine's gas debt and raise its gas prices). Granted, the Russian multinationals doing business with Ukraine are state-owned, but that's ultimately unimportant. The West shouldn't be looking to merely settle for an optical tie with the Russians in capitalist practices, and is missing an opportunity to promote its own companies as a revenue-generating capitalist solution to a global problem. The fact that the Russians are beating us at our own game -- evoking Gazprom's key role in the Ukrainian economy while the West wonders how much money we'd have to toss at Ukraine to counter Gazprom's influence -- is embarrassing. Ukraine's problem isn't its revenue sources -- it's the inherent corruption within its own government, which never seems to change regardless of who gets elected. Whether Ukraine ends up falling primarily into the Russian or European sphere of influence won't matter. If anyone thinks that Ukraine's acceptance into the European Union would mean an automatic suppression of corruption, then I have a bridge to sell you. Moreover, I ask that you kindly earmark the money for this bridge in a major EU spending package destined for an African nation, because that's how corruption is done here in Europe. It might be easier to have faith in the generosity of Western-led global governance institutions if they weren't so clueless. The World Bank's motto is "Working for a world free of poverty." Fair enough. How is Ukraine going to free itself from poverty when the country's own page on the World Bank website states that "Ukraine posted zero economic growth over 2012 and 2013 because serious macroeconomic and structural weaknesses remain unaddressed"? 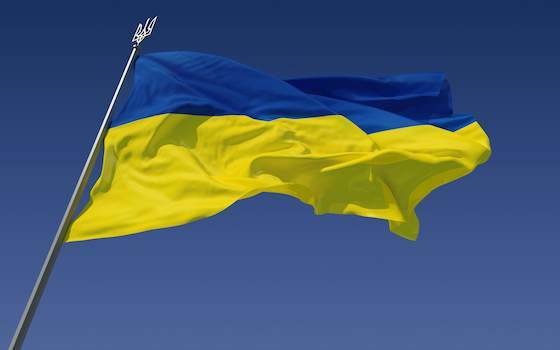 Current items of focus for Ukraine include pension reform and land ownership. That's nice -- but who cares when people need work? The World Bank page should be a matchmaking service for companies looking for joint ventures in Ukraine. The Ukrainian crisis differs from other recent conflicts in that there was no major military operation to leverage as a market-entry cover for the military-industrial complex. No nation is more seamless with such operations than France, whose multinational corporations -- particularly in the energy, defense and telecommunications sectors -- are typically on the ground alongside any troops. That's the ideal: to get in before anti-capitalists can take notice and start whining about the evils of big business. Corporate involvement in Ukraine would be hard to conceal, although it's not like they won't try: Some of the "aid" may be earmarked for Western companies. But why should the virtues of the free market have to be buried deep in state-sponsored benevolence? If the value of capitalism is properly demonstrated, foreign business partners shouldn't have to sneak into a country under a pretext. Maybe our Western leaders can start putting some thought into how to sell that sort of opportunity positively and authentically, rather than constantly whining about Vladimir Putin. Allowing foreign corporations to provide a chance for people of Ukraine to improve their lives in the wake of unrest is not something anyone should be ashamed of -- unlike state-sanctioned bribery. "Export Opportunity to Ukraine, Not Ukrainian Nanny State"